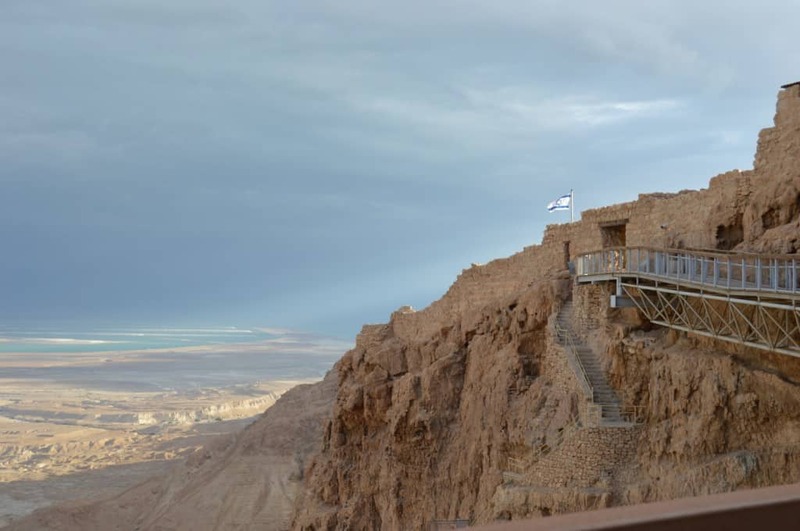 I recently had the opportunity to visit Israel in November with OUTstanding Travel and I jumped at the chance to visit this tiny country situated in the Middle East. I met the founder of the company Nadav at the IGLTA Conference in Madrid earlier this year when he was first developing his concept to offer travel experiences for LGBT tourists in Israel. I told him how I’d always been fascinated with Israel but hadn’t yet traveled there. So when he wrote me in October inviting me to visit I couldn’t say no. And as it turned out, it was one of the best trips and travel experiences I’ve ever had. 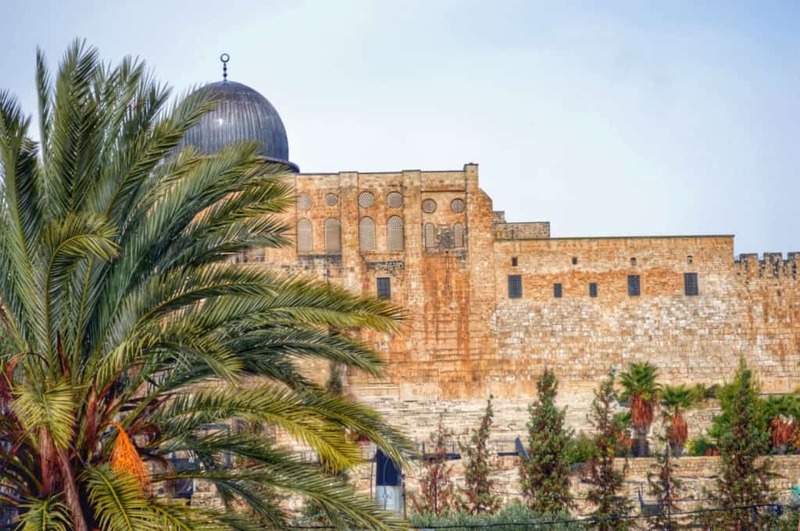 Israel is such a small, yet diverse country with a complicated history that it provides a travel experience not found anywhere else in the world. Here are 10 experiences that made this trip one of the best! I’m obsessed with Israeli food. It’s fresh, it’s delicious and almost every meal comes with hummus. I’m a hummus freak and I’ve never had better hummus than in Israel. Food is such a large part of the travel experience and I loved how so many of the Mediterranean-style dishes were healthy, full of vegetables and just plain delicious. Have I mentioned the hummus? There is no other city like Jerusalem in the world. It’s a holy site for three major world religions, full of history, culture and conflict. While Tel Aviv is urban, hip and never sleeps – Jerusalem is tranquil, historic and religious and couldn’t be more different. Visiting the sites that date back thousands of years is a fascinating way to learn about the history and culture, both past and present. We spent Friday night at the famous Ha’oman mega club in Tel Aviv watching Wigstock 2014 – a massive drag show with over-the-top performances. But this was not just an ordinary lip-sync drag show. The performers were actually singing, they had curated lighting (?) and fully choreographed backup dancers. It was without a doubt the most impressive drag performance I’ve ever seen. After the show, the lights dimmed out and the party started, going on into the early morning. Interested in visiting Tel Aviv? Download our Tel Aviv gay travel guide for free. We’ve even included a mobile friendly version to take on, advice and recommendations on dining, nightlife, free tours plus money saving tips and discounts worth more than 100€. Masada is an ancient fortress built on the edge of a cliff in the valley of the Dead Sea. Originally a palace of King Herod, hundreds of years later this was also the site of the last Jewish rebels who resisted the Romans. For years, the Jews maintained this strong hold until the Romans built a massive ramp to attack the stronghold. As the story goes, once the Romans finally entered into the fortified city, they found that all the rebels had committed suicide rather than being captured and placed into a life of slavery. The remains are impressive, the story unbelievable and the views are some of the best in the country. One of the best parts of the trip was the people I met and the group I traveled with. The locals I met during the visit were warm, friendly and welcoming. And even better was the great group of 10 people from around the world that traveled with me …every…single…hour of the day. It was an intense trip. We saw so much in such a short time but somehow this was a bonding moment for our group and I made new friends from the around the world from France, Germany, Spain, Canada, Argentina, The Netherlands and of course…Israel. Ok this one is weird. Honestly, yes I was raised catholic and went to church for many years of my life but I no longer identify as such nor am I religious in the slightest. But somehow this place had a profound effect on me. Sure, I’ve visited countless churches, basilicas and cathedrals during my travels but this place was different. Maybe it was the way it’s built into ground with some of inner walls of the church being exposed rock. Maybe it was the fierce passion that so many of the people had inside. 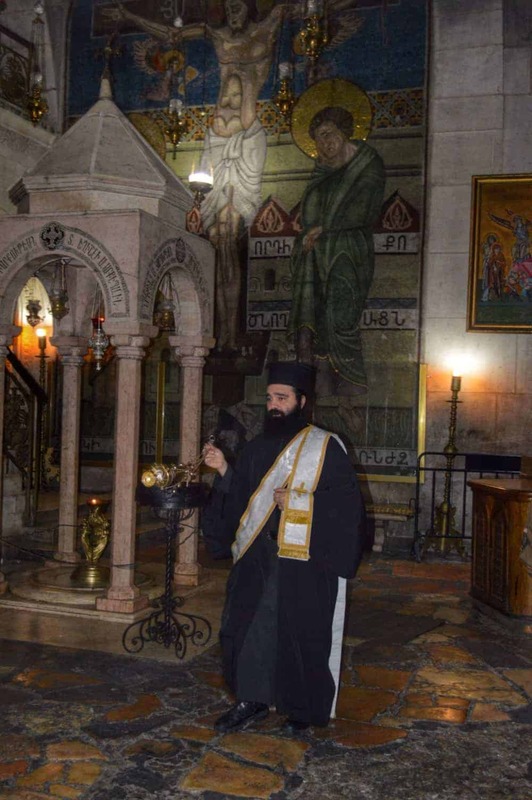 Or maybe it was just a realization that I was in a place that people from around the world visit – a place where Jesus is said to have walked and later died. The Brown is a boutique hotel in Tel Aviv and is a gay favorite place to stay near Rothschild Boulevard. But more than that, it’s a meeting place for visitors and locals who come to enjoy the patio-style bar, the rooftop terrace, fashionable crowd…and amazing cocktails. I’m an advocate of quality and attention to detail when it comes to making drinks and the Brown does it perfectly. 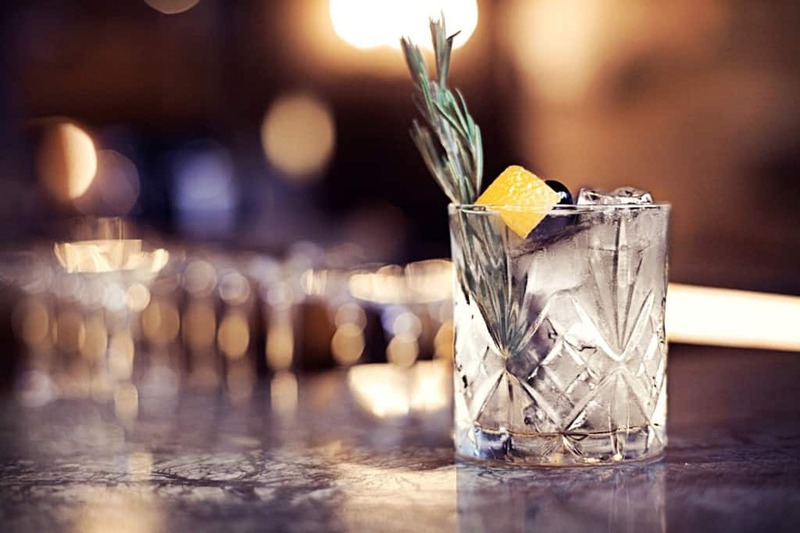 The aroma of freshly fired rosemary piercing out the top of my fruity yet sour cocktail was more than enough to impress me and reason to go back for seconds. 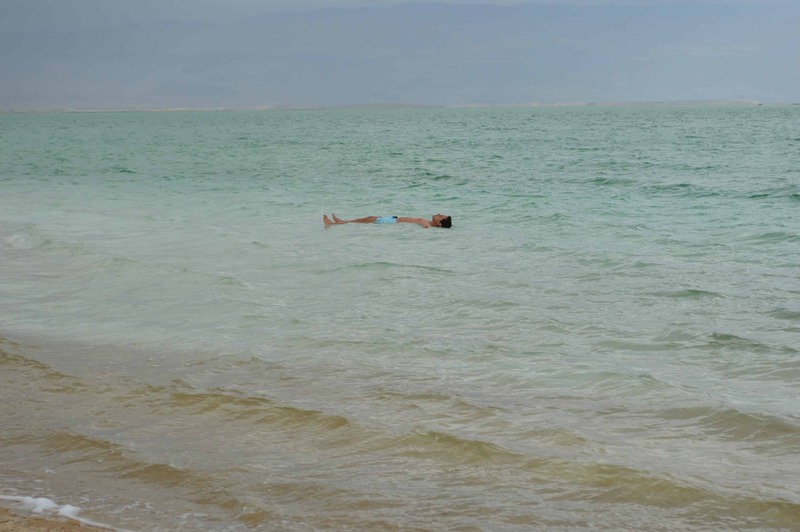 Floating in the Dead Sea was unlike anything I’ve ever experienced. I started swimming at a very young age; in fact I could swim before I could walk. I spent so many years of my life swimming and I know that feeling of being in water whether it’s a pool, lake or ocean. But the Dead Sea totally threw me off. With a salt concentration of 34%, your body floats completely in the water without effort. It’s actually difficult to swim and the sensation you get being in the Dead Sea is so strange and unexplainable. It’s like floating in… (what? can you try to describe it?) You really have to be there yourself to fully understand. This museum located in the old city of Jaffa is an amazing find and a place you might not know to look for. Ilana Gur is an Israeli artist from Tiberias without any formal training in art or design. Her talent for creating unconventional pieces highlighting vitality and obsession with a complexity that borders on surrealism is not to be missed. I’m not an art expert, and frankly, I don’t really even know what the description of her work means (I cheated and stole it from the museum website) yet somehow I was still captivated by the creativity and boldness of her work. This museum is definitely worth an hour of your time during your visit to Jaffa where you can experience her work that ranges from sculptures and furniture to lighting fixtures and fashion items. Our last evening in Tel Aviv was spent on the rooftop terrace at the Indigo Hotel. Located in the Diamond District a bit northeast of central Tel Aviv, we had an awesome view of the city while watching the sunset. If only the weather had been warm enough (it was early December) then I would definitely have taken a dip in the rooftop pool. Yes the four glasses of champagne made the night extra charming and to top it all off, I received my first professional body massage….EVER! It was a great end to an amazing trip. If you’ve ever wanted to visit Israel but you’ve been hesitant or feel it’s not safe I can only tell you that my experience was great. I felt safe, welcome and really appreciated people’s openness and willingness to discuss the reality of the situation and complications that travelers face when visiting. 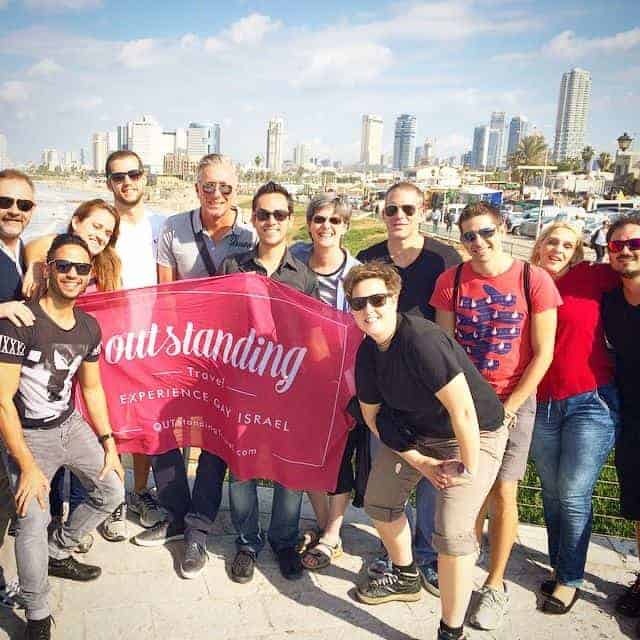 OUTstanding Travel is an excellent partner offering everything from customized trips to summer gay group tours on weekends and during pride week. So if you need a helping hand with your trip and want local guides that know the ins and outs of LGBT life and travel in Israel, I can’t recommend them enough. Have you been to Israel before? What were your best moments from your trip to Israel or another recent trip you’ve taken? Let us know in the comments below. Note: OUTstanding Travel sponsored my visit to Israel. As always, rest assured all opinions are 100% our own.In fact, we highly recommend OUTstanding Travel for any guided visit to Israel. They are passionate providing an excellent travel experience and I have no doubt that you would enjoy yourself if you choose them. Also several links above are affiliates, which means we earn a small commission if you use them, but no obligation of course. Very informative Auston. I never knew Israel had so many delights to offer. I think a personal favourite of mine would be tied with the Dead Sea and Jaffa. Perhaps I’ll have to experience it myself. I have been to Israel twice already! I love this place. The best gay destination in the world. I agree! it’s a great place to visit. Tel Aviv Pride here I come!! LOVE LOVE LOVE TEL AVIV!!! Alright! That’s it! This is the second post in two days we’ve seen about the Dead Sea (as if we needed more convincing to get our a$$es over there)! Hey Auston and David, I am Sean, just find out your blog and find it very impressive! My boyfriend and I are now in Spain, and we are going to start in March our 1.5 years cycling trip from Spain to Hongkong, my hometown. Are you still in Madrid? Maybe we could Couchsurf you boys soon, really want to meet you both! Hey Sean. Thanks for the message. Really inspiring story that you guys have. Please feel free to send me a message and we can talk about meeting up or couchsurfing. 6 motivos pra visitar Tel Aviv (Israel), o óasis gay do Oriente Médio | Viaja, Bi! The Ramon crater (and adjoining resort) is beautiful beyond belief.